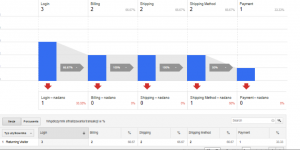 With the release of Google Analytic’s Enhanced Ecommerce tracking, Magento shop owners now also have the option to track more powerful shopping and checkout behaviour events. Using a Magento plugin to add the tagging to your store could save a lot of development expense. But choosing a third party library has risks for reliability and future maintenance, so we’ve installed the plugins we could find to review how they work. Plugin Checkout options? Promotions? Social interactions? Refunds? None (DIY) 1 5 5 Your time! There is no clear winner so choose the plugin that suits your needs best. If you are concerned about data privacy then go for either BlueAcorn or Scommerce, but pick Tatvic’s plugin if you prefer easiest installation process. 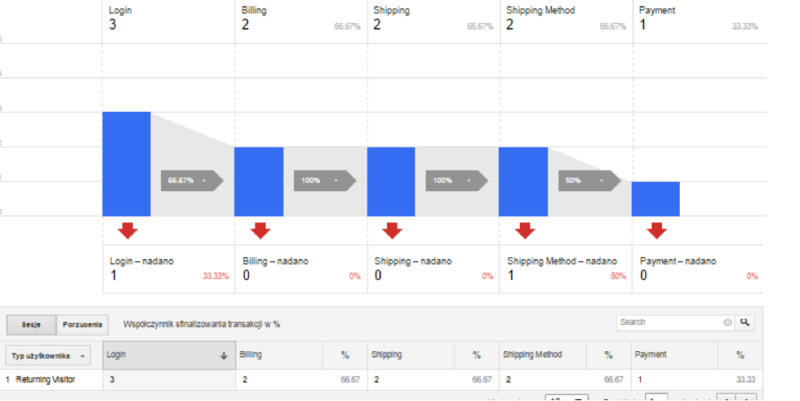 If you want to spend more time capturing further data – like promotions and refunds – you might want to consider implementing the tracking yourself with Google Tag Manager. Fast and easy to install (it took less than an hour to configure everything). Good support by email after installation. Basic shopping behaviour and checkout behaviour steps captured. Product impressions are only segmented by product categories – there is no separation for cross-sell, upsell or related products widgets. No support for coupon codes or refunds. * Tatvic can help you configure your own GTM container if their standard setup is an issue for you. It doesn’t need Google Tag Manager, so you can be sure that no one can add scripts to your site. You can install from Magento Connect. Update on 24 Aug 2015: Supports one page checkout. It doesn’t add Google Tag Manager to your site. You have to set your shop currency to US dollars. 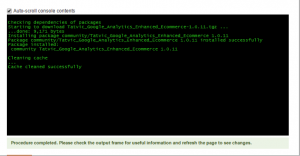 To be able to install listed plugins for Magento, you will first of all need to enable Enhanced Ecommerce tracking in Google Analytics. If you already have it enabled, you can skip this section. 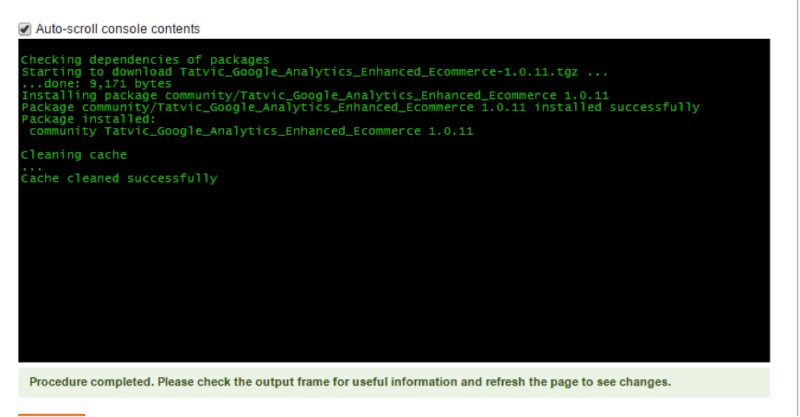 Go to Google Analytics > Admin > View > Ecommerce Settings. 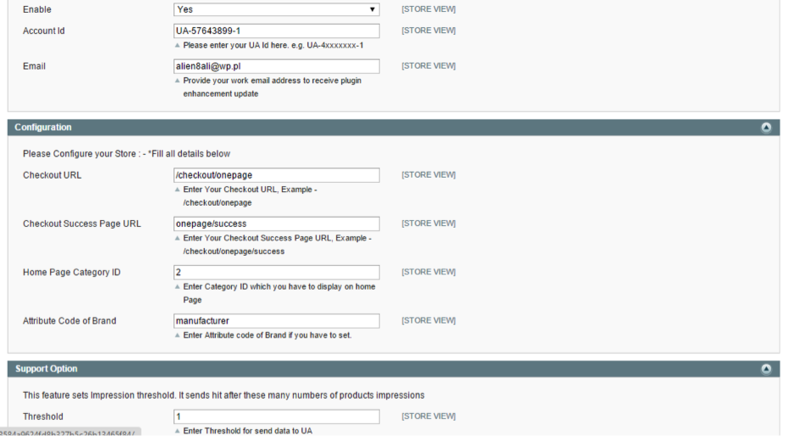 Enable Enhanced Ecommerce and set up the checkout funnel steps (see the screenshot for standard checkout steps). 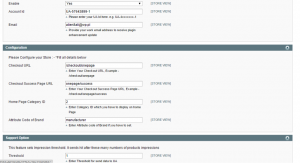 Remove your Google Analytics tracking code from the website. Go to Magento Connect centre, open the “settings” tab and enable beta extensions. Go back to the “extensions” tab, paste the link into extension and click ‘Install’. You should see a successful completion message. Go back to the configuration page. Don’t worry if you see 404 error. Log out and back in again and you shouldn’t see the error anymore. Now add the missing details in the configuration settings, eg Google Analytics account, checkout URL. You should see all the checkout steps working. BlueAcorn’s plugin supports only stores that have their currency set to US dollars. If your online shop is in any other currency, you won’t be able to see most of the data on your product’s sales performance. Installing BlueAcorn’s plugin is similar to Tatvic’s but you have to do two extra steps. Go to the cache store management, select all items, select ‘Disable’ from the Actions dropdown list and click ‘Submit’. Go to System > Tools > Compilation and click button ‘Disable’. Re-enable the cache by going back to the cache store management, select all items and enable them. Go to the Google API tab (System > Configuration > Google API), enable plugin and insert your Google Analytics account number. Disable compilation mode by going to System > Tools > Compilation and click ‘Disable’ button. Upload module to root folder (PDF). If you have any further queries regarding the plugins we reviewed, don’t hesitate to let us know in the comments.